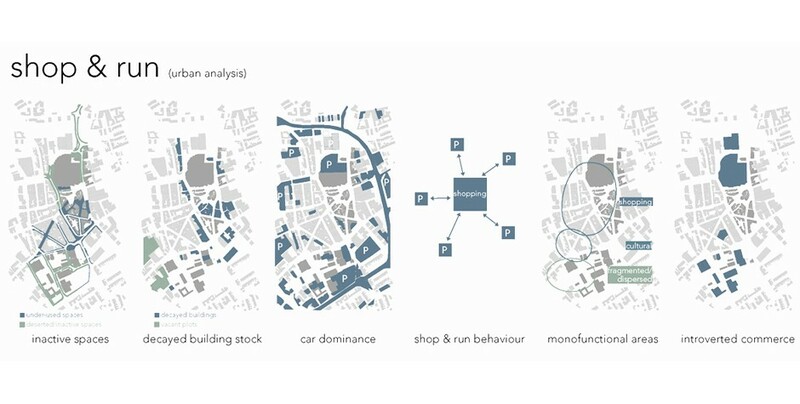 From identity crisis to urban renaissance – from ‘shop & run’ to ‘stay & play’: The concept of our proposed scheme for redevelopment of the currently fragmented city centre is based on the notion of acupuncture, hence the scheme aims to invigorate and connect associated areas via a network of relations and spatial interconnection of specific points of action. 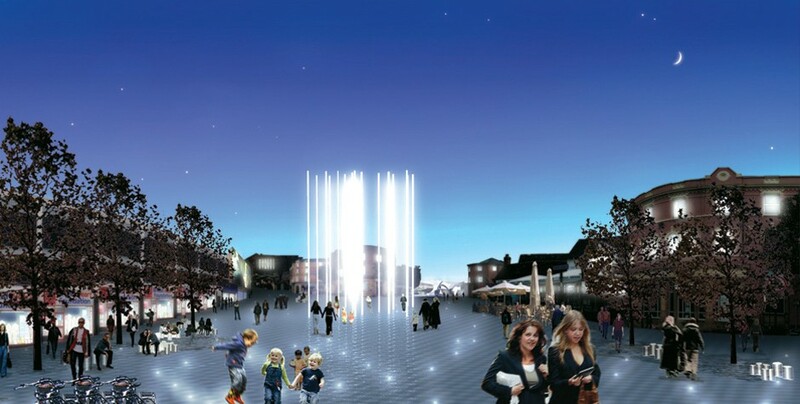 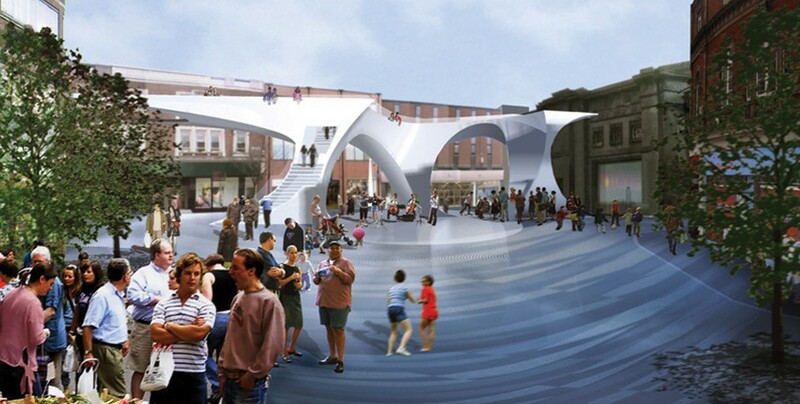 On Fountain square, one of the focal areas, decayed building stock has been withdrawn to provide space for the interactive Fountain of Light creating an urban square for changing cultural and commercial activities. 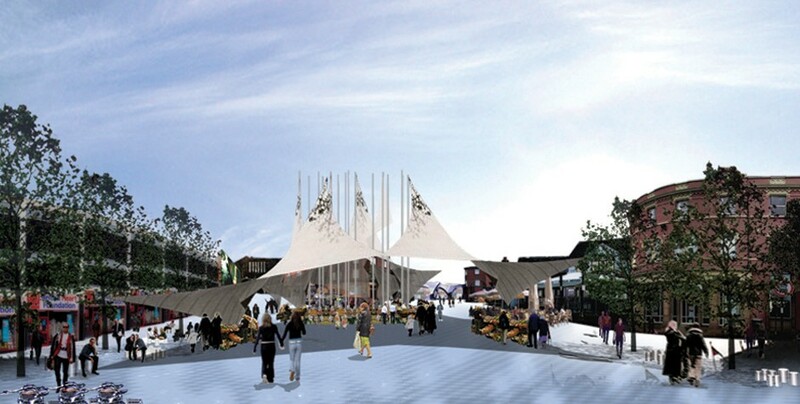 Here, strategic cultural investment is combined with the development of public space, so as to provide better footfall and initiate private investment. 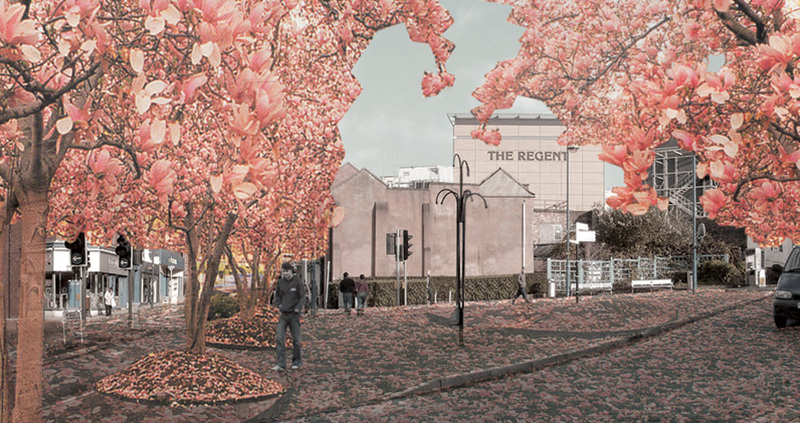 A series of strategic punctual interventions ‘urban acupuncture’ helps to generate a new network of spaces and activities throughout the public sphere. 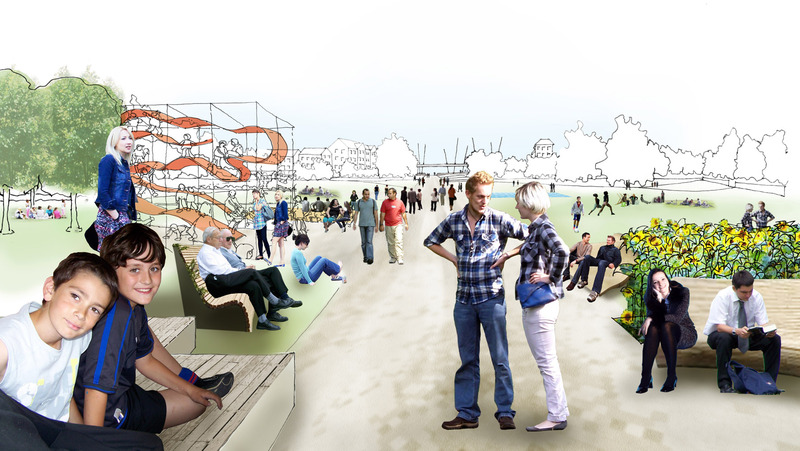 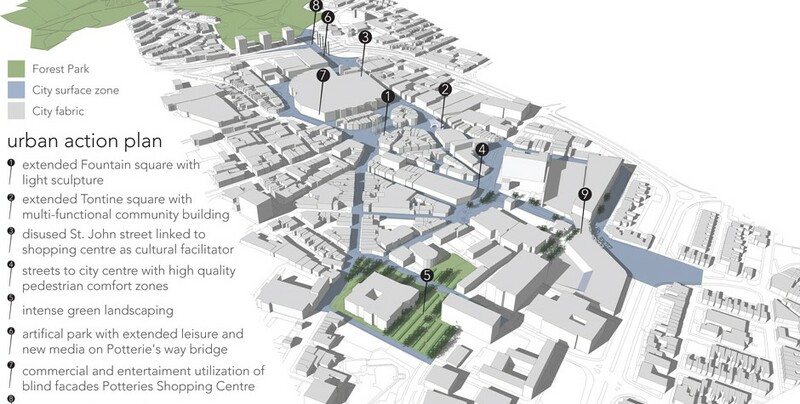 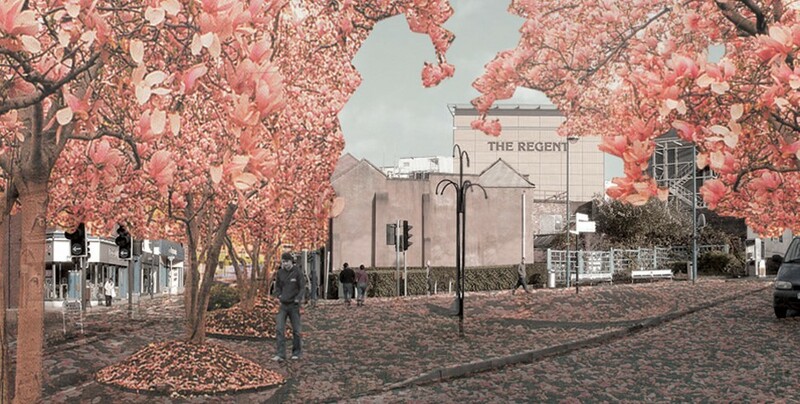 A continuous urban surface is proposed, including pedestrian areas and roads, which de-clutters and unifies scattered, disconnected areas of the city centre and introduces the ‘shared-space’-concept in which pedestrian and car traffic share the same space. 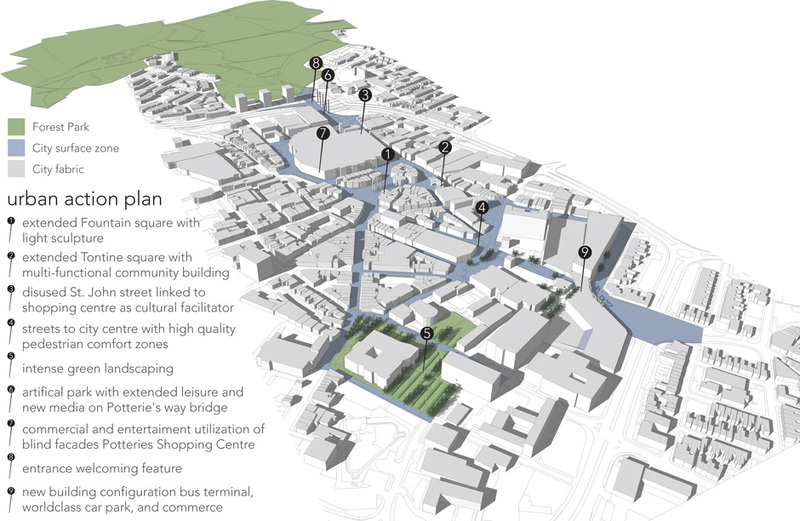 Collective patches of commercial, cultural and administrative use smoothly connect accessible places to peripheral areas and new developments.